Ever since the Helmuths' grandson, Ben, abruptly broke his engagement and moved to Florida, Emma Nelson has kept busy tending her vegetable garden and raising award-winning pumpkins. She can put her heartache aside to help Ben's mother with her own pumpkin patch. At least until Ben shows up to lend support to his ailing father. Gardening side by side with pretty, nurturing Emma is a sweet kind of torture for Ben. She could have her pick of suitors who can offer what he can't, and he cares too much to burden her with his secret. Leaving once more is the only option. 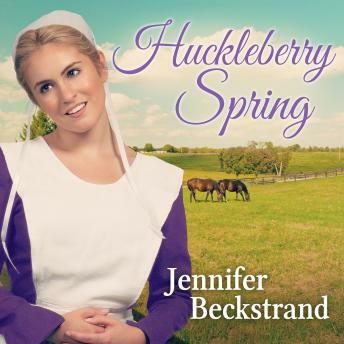 Yet Emma's courage is daring him to accept the grace that flourishes here and the love that has been calling him back to Huckleberry Hill . . .